Marco Grandi is arguably one of the finest producers of Hungary and Eastern Europe as a whole. He started DJing in 1999 and since then grown to become one of Hungary’s most respected DJs with gigs in some of the finest clubs at home as well as guesting across Europe. His productions can now be found on quality labels like Ready Mix Records, Nightbird Music, Itom Records, Acryl Music and Lowbit to name a few. 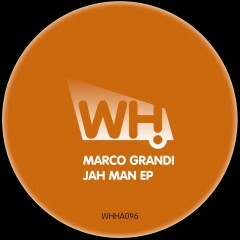 His sound is strongly inspired by the real legends of house music and that is also to be heard on his new EP that is one of his finest to date. Two cuts of crisp tight beats, warm and deeper sounds and vocals added on top to take it to the next level. The title track also comes in an instrumental version. All in all this is a blissful journey of house that is simply amazing!